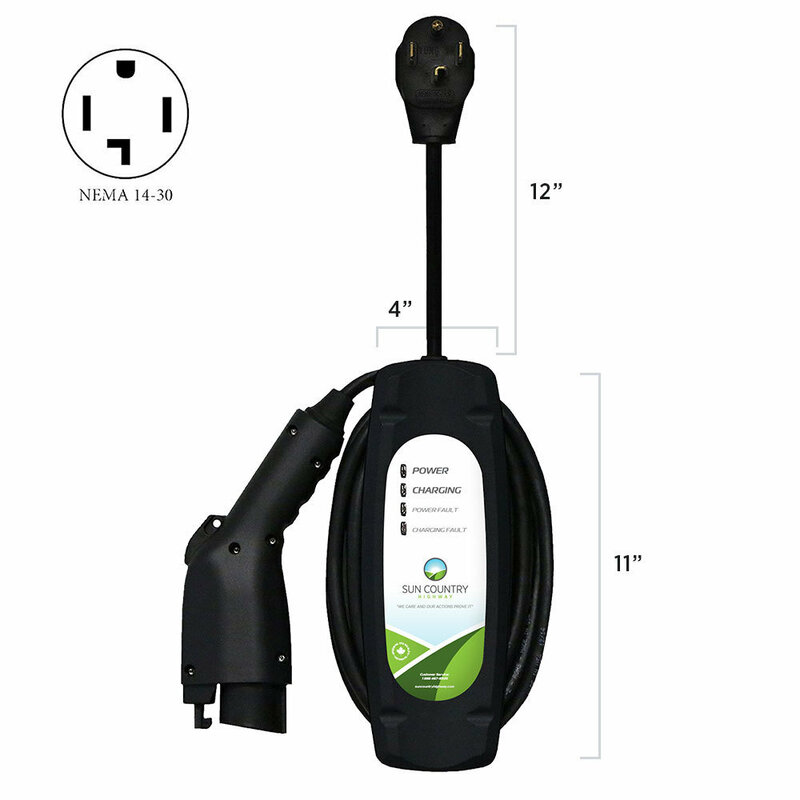 The ideal Level II 208/240V solution for home or public charging. Since the last thing you need is one more item in your garage, we packed close to 5kW of power in this small package. 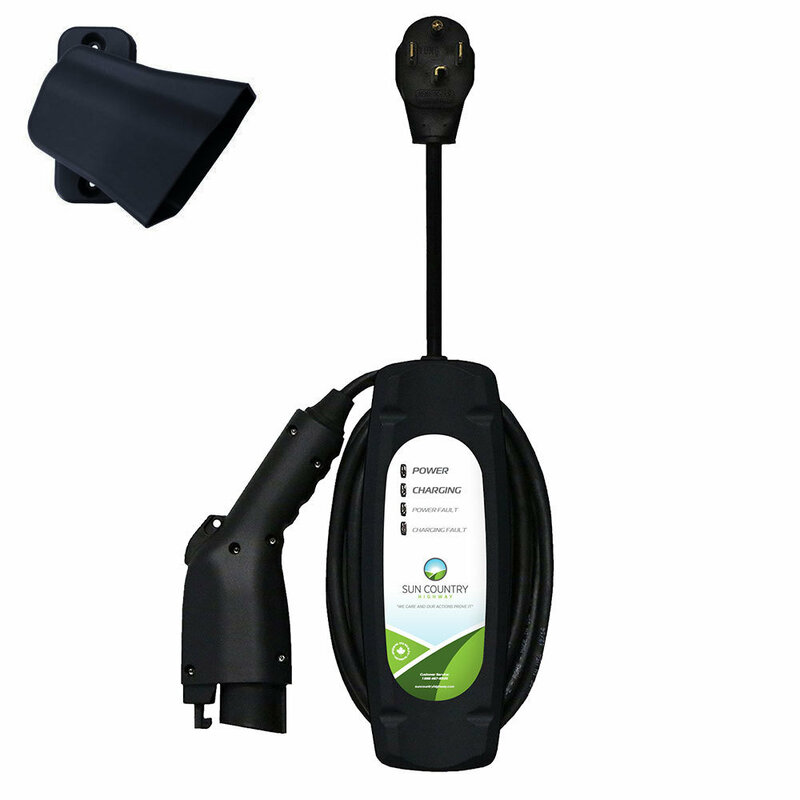 The smallest EV charger footprint in the industry. More than 200% faster recharging than 110V level 1. 25A Breaker rated, 20A continuous current, J1772 connector. Fully recharges a Chevy Volt in 3-4 hrs and Nissan Leaf (3.3 kWh) in 7 hrs. Can be wall or pedestal mounted. NEMA 4 rated for outdoor use. Unit comes with 25 ft (7.62 m) of charge cable and holster. Meets cUL and UL listing safety standards. Also available to special order with a NEMA 6-50 plug, NEMA L6-30 plug, or NEMA 14-30 plug. Please contact us to order.